Underground at the Colosseum: How Do You Get There? I've gotten a lot of messages asking more about how to access the subterranean and third levels of the Colosseum, which officially opened to the public today. Well, I've been there, done that (I was actually lucky enough to be on the very first public tour of the newly-unveiled areas at 9:40am this morning! ), so I'm happy to share! Update, April 5 2012: After being closed due to floods, Colosseum officials just announced that the underground will reopen this Saturday, April 7. 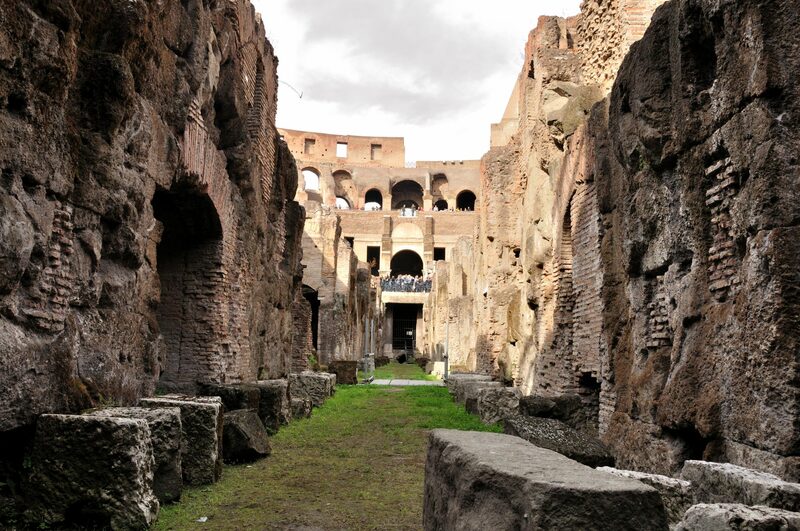 Update, October 2011: The Colosseum underground and 3rd tier will be open until Dec. 31. Update, September 2011: After months of keeping mum, officials finally have confirmed that the Colosseum underground will be open through October. Update, July 2011: It's been confirmed that the Colosseum's underground is now open through September… but possibly no later! Click the link for info on the three major (and only) ways to get to the Colosseum underground. 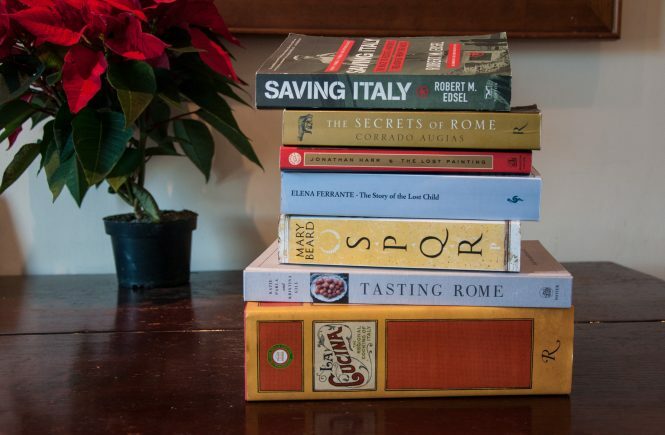 (The post below gives you info on how to book by taking a tour with the Colosseum directly — but that's not necessarily, or always, the best way). Update, March 2011: The Colosseum's underground has reopened! Some things, including the exact price and the ability to pay in cash on the day of, have changed. Click the link for more info. Why is this special? It's the first time since antiquity that the hypogeum and third levels have been officially, safely open to the public. (Actually, even better than that, since even in antiquity the hypogeum would not have been open to the public). And it's the first time the arena has been open to the public during the daytime. Do I have to book in advance to see the hypogeum and third levels? Yes, you must book in advance. But why? Because the areas are archaeologically sensitive, they don't want the Colosseum's 19,000 or so daily visitors clambering around on their own. 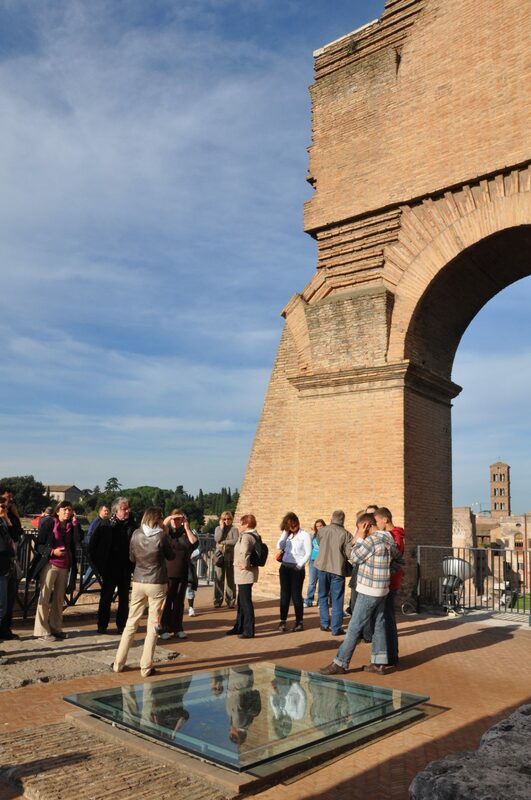 Instead, the Colosseum's official guides are taking groups to those areas, with a maximum of 25 people per group. How do I book? The best (and, I think, so far only) way to book is to call Rome's cultural association, Pierreci, directly. Their phone number is +39 06 39967700. Websites might start cropping up soon, if they haven't already, offering to sell you these tickets online; they'll charge you a surcharge for this, so just call Pierreci instead. Do they speak English? Yes, they should. If you can't follow the rapid-fire Italian for your options through the automated system, press 0 the first time you're asked a question, 3 the second time. (Assuming, of course, you're an individual booking for a group tour). That should bring you to an operator. Once you speak to someone, if you just ask, "Parla inglese? ", you should be able to communicate with them in English fine. They are, after all, offering English guided tours! But I don't want to make an international call. That's expensive. Download Skype (www.skype.com). It's a free voice-over-internet program and takes thirty seconds to download. It's intuitive, it's easy, and you can call phones internationally for much less than what most phone cards would cost you. Plus, calling Skype to Skype is free. How much is it? It costs €12 (the normal entrance price, which includes your entrance to the Forum and Palatine), plus €8 for the guided tour, plus a €1.50 reservation fee. You do not pay in advance. What times are the tours? I don't know, and I'm not sure there's a regular schedule. But it seems like lots of tours in both Italian and English (perhaps other languages, too) are being given. The operator will give you a list of times that you can choose. Should I book now, or wait till I get to Rome and have more of an idea of my schedule? Book now. Seriously, everyone and their mother will want to do this. You need to get a slot as soon as possible. How long are they doing this for? So far, till November 30. But I can't imagine they won't continue it after that. So I have my reservation number, and I'm in Rome. Now what? When you go to the Colosseum, you'll see a long line on your right. Don't stand in it–that's for people without reservations. You also might see a long line on your left. Don't stand in that one, either, which is for big group tours. Instead, go down the middle. When a guard asks you for your ticket, say you have a reservation. He'll let you through to the ticket windows at the end. Get in the line for reservations ("prenotazioni"), which should be very, very short. At the window, present your reservation code. You're then given your ticket, plus a little sticker saying you're one of the chosen few for the tour. The meeting point is currently in front of the elevator, but that may change (like everything does! ), so make sure to ask. What if I have a RomaPass? If you tell the person at the reservation window that you already have a ticket to the Colosseum, you can pay just the reservation and tour fee and use your pass. Can I use my ticket for something else? Yes. It's a normal, combined Colosseum ticket, so you can use it for entrance to the Forum and Palatine for the rest of the day and the following day (the deadline will be printed on your ticket). What does the tour cover? The tour includes the hypogeum (subterranean area), arena, Porta Libitina, and third level. How long is the tour? This morning, it took us an hour and a half to get through it all. I don't know if that's how long they'll all be. Can I sightsee more around the Colosseum after the tour? The tour ends inside, so yes. Is it worth it? Yes. It's incredible. And this is absolutely how the Colosseum is meant to be seen. Once you see the Colosseum from its almost-top, and peer up at the seating from where gladiators and animals would have waited for their turn, and walk through the gate where gladiators' dead bodies were taken out, you'll feel badly for those who "only" got to see the Colosseum's first and second levels. Whew! I hope that covers everything, but let me know if I left anything out! A guard allowing us up to the third level of the Colosseum. I called there a couple of minutes ago and did like u said. Its already booked for the 9h30 for the day i planned to visit the coliseum. btw, your page has been very helpful. Glad you found it helpful, Elsa! Hope that you can make another slot – if not, next time! Thanks for the advice, I just called and it worked perfectly, I will make sure to check out your other tips. Glad to hear it, Marcy and Conor. Enjoy your tours! Thank you, Amanda! I stumbled across your blog (thanks to TripAdvisor) just in time for my visit to Italy next month! Tickets are €27.50 for a 1 1/2 hour tour that covers the new sections and the “standard” Colosseum tour. Your way is obviously better, though, as it enables us to take advantage of the Roma Pass! Glad to help, Diane! And yes, you can book via Tickitaly. But it sounds to me from reading their description of the tour that they’re simply charging a €7.50 surcharge (the tour should only be €20, including entrance) for the convenience of booking through their site! Also, a heads-up to anyone who might consider booking with them: They also appear to be a little confused about what the tour covers — it does not cover the Palatine or Forum entrances, contrary to what they say. Whether you have a RomaPass or not, therefore, I’d still say it’s better (and cheaper) to book on your own. Either way, glad you were able to book a tour — enjoy it! Thank you so much for this information! I used Skype to call Rome today and booked my tickets for Nov 20. I’m so excited! Thanks again for the information. However, I tried making the call with Skype and was unable to make the reservation because of the # menu. @Andrea You can punch in numbers on Skype, so that should not be a problem. If you have the newer version of Skype, a little keypad of numbers should pop up when you make a call. Otherwise, you can just press numbers on your keyboard and that’ll work too. thanks again for the information and help as well as help on the ricksteves website. I managed to figure out skype and was able to make my reservation for the tour on Nov 13 at 9:40 am (they said to show up @ 9:20 to have time to go thru everything). also took advantage of skype to make my borghese gallery reservations. Thanks again, would never have thought to use something like skype (which was preloaded on my new computer and I didn’t even know it!). Hi Amanda! I just booked our reservations for 11/20. Thanks for the helpful advice about which buttons to push following the rapid fire Italian. Very helpful and worked perfectly. I guess I’ll be seeing Kismet there, too, as we have reservations the same day! Great, Staci! Glad to have helped. Have fun! 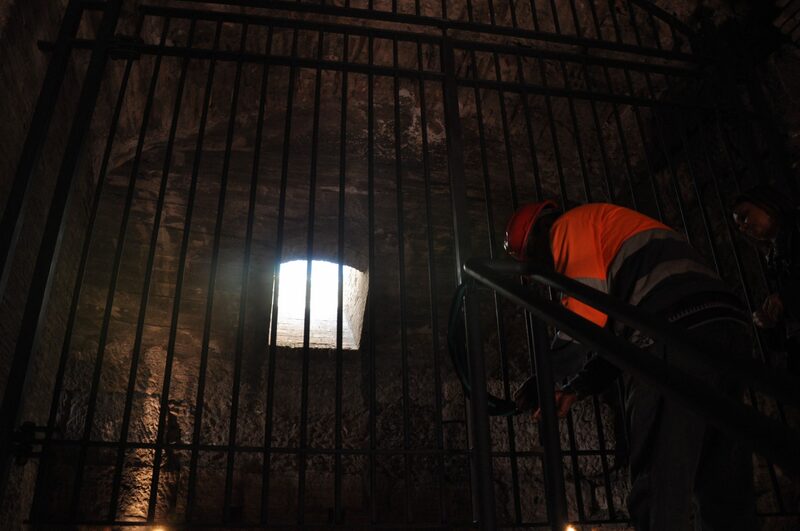 Do you know if there will be underground tours in January? They haven’t announced yet if or when they are continuing the visits to the hypogeum. My guess is that they will, but whether they keep them going from Nov. 30 through the winter, or close them for the off season and reopen in March, is anybody’s guess. I’ll put up a new post as soon as I know. Is this another tour than the one to the underground of the colosseum? On the ticketsite ticketclic.it you can order this tour for 17,50, but thats a little different from your 21,50. So, did they lower the price and the length of the guided tours, or is this just a different tour? I don’t see that on the link about their hypogeum tours: http://www.pierreci.it/16114.aspx. Can you give me the link where you see that? I imagine this tour is probably of something else, but if you let me know where you found that specifically, I can let you know. I was looking on the english site, and ended up on http://www.pierreci.it/en/museums-and-monuments/colosseo.aspx and it seems like there is no specific hypogeum tours page in english. A little confusing! It must be a different tour then. Confusing indeed (welcome to Italy! ), but yes, it appears to be for something different. Hope you make it to the hypogeum! Your blog is proving so useful as we’re planning our trip for next week. I noticed on the tickitaly link that they only show real/live time ticket availability for weekend tours. I’m hoping to call tomorrow to book our tickets using your tips, but wondered if there are indeed tours during the week – or are they only on the weekends? According to their site there has only been one AM and one PM tour each Sat and Sun. Thanks for any additional insights you may have. From what it looks like, Tickitaly is only showing you the tour times for which THEY have purchased bulk tickets (to then sell at a mark-up). The Colosseum itself has many more tours than just these. When you call, they’ll tell you the availability for the tours when you’re in town. Glad my blog is proving so useful to you! Enjoy your trip to Rome. It doesn’t look like it is, but you could always call to ask! However, I haven’t heard that they’ve changed their original plans to close it Nov. 30. I’m sure they’ll reopen in February or March. Do we know when in Feb or March this might reopen? Haven’t heard word yet, Cindy. Will post as soon as I do! Any info available on whether it will be open again in the spring? We will be in Rome at the beginning of April and would love to see the hypogeum and from the third level. The tours start again tomorrow March 14, 2011 through June 30, 2011. The cost is now 9 euros. The Pierreci site has the info on the Italian page. We have booked an underground Colosseum tour for June 22nd at 4:20. I told them we would have the Roma Pass. We would like to tour the Palatine and Forum BEFORE this tour……can we use our Roma Pass to get in to them and then go to the Underground Tour at the Colosseum at 4:20 or will we be charged twice? Thank you for all the great info on the tour. It was sooooo helpful when I called. Yes, you can. The forum and Palatine have separate entrances from the Colosseum, so you’ll be fine. Apparently there is now another option, Walks of Italy has started offering their own tours with their guides through the Colosseum underground, Third Tier, and it includes the Roman Forum as well. So it includes more, and they have a maximum of 12 per group. Sounds pretty good! Many, many thanks for this valuable information. My wife has just decided to join me for a weekend following a business trip to Rome, so I rang Pierreci expecting that nothing would be available at short notice. I was delighted to find that a choice of times was still available even though our visit is barely ten days’ away. This, then, to encourage others – it is worth trying for tickets even at short notice. To confirm, too, that as others have reported, I was asked to pay by credit card in advance, but when I indicated that I planned to use the Roma Card, I was asked only for the tour and reservation fees. Hi there! Just wanted to say thanks sooo much for your website. It’s been very helpful in booking our tour of the colosseum (including the underground and third ring). The tours available through Viator and LonelyPlanet are all about $125 (American) for the same tour and we managed to book all inclusive for €21!! Good job! Just want to say a big thank you for the info on your site! I followed each of the steps and managed to reserve our place on a Sept 26th tour. With the Roma Pass, we’d only need to pay for the guided tour and reservation fee, which came to 19€ for 2 people. I would like to say a big thank you for your website which I chanced upon just 10 days before my trip to Rome. And I managed to book my underground tour! I am so grateful that I did not miss such an interesting and exclusive tour. I have a question similar to Charles- My Colosseeum tour is at 4.30pm, I would like to tour Roman Forum and Palatine Hill first but I did not purchase the Roma Pass. Would I be able to collect my tickets first to tour the 2 places or do I need to buy a separate tickets? Also, is it a must to collect my tickets from the Colosseum booth or I can do it at the Forum booth? I’m glad that you found this helpful! Did you already pay for the Colosseum tour, or did you just make a reservation by contacting Pierreci directly (and not giving your credit card information)? (They allowed this option when I went on the tour when it first started, but now they might enforce prepayment). If you did *not* already pay for the tour, but are paying when you get there, then you can buy your combined forum/Palatine/Colosseum ticket at the forum or Palatine. When you go to the Colosseum, show them the ticket at the reservations desk and you will only have to pay for the tour. (It should be the same as if you had a Roma Pass). If you *did* already pay for your ticket, then you’re going to have to wait to do the Colosseum tour first. With the ticket that they give you in hand, you can then go to the forum and Palatine after. I see a tour for the Colesium and underground (Colesium at night) with Tickitaly. They say that at night you can not visit the upper levels. Do you know if this is a good tour? As far as I understand, Tickitaly is simply selling the Colosseum tour, with Colosseum guides, that you would get if you called Pierreci directly. These official Colosseum guides know their stuff, but some of them have very heavy accents and are a bit dry! However, every tour company except for Walks of Italy that sells the Colosseum tour uses these Colosseum guides. Overall, it’s just luck of the draw — but still a neat experience even if your guide isn’t the best one you’ll ever have! I hope that helps, and enjoy your trip to Rome! Howdy, I just heard that they have closed this tour due to security reasons as a temporary measure? Is this true? Hi RT, very occasionally the tour might be canceled or unavailable—like when the Colosseum goes on strike!—but I haven’t heard anything about closures because of a security measure. To the contrary, the Colosseum just announced that the underground will remain open through October (click the update at the top of the post for details). Hope that helps! Very informative and helpful post. Thanks for posting ! I am travelling to Rome in ten days with my husband and 2.5 year old toddler. As exciting as the underground tour sounds, do you know if children are permitted inside ?